Documenting your experiences is one of the most powerful actions you can take against bullying. Forensic Notes are securely stored and encrypted so only you can access and read your notes until you decide to provide them to others. All private data is encrypted at rest and in transit. The ability to prove when you wrote a note or saved a document is essential in both civil and criminal court. However, the reality is that it is very easy to change the date of most computer files such as MS Word documents. Forensic Notes protects your credibility when questioned! 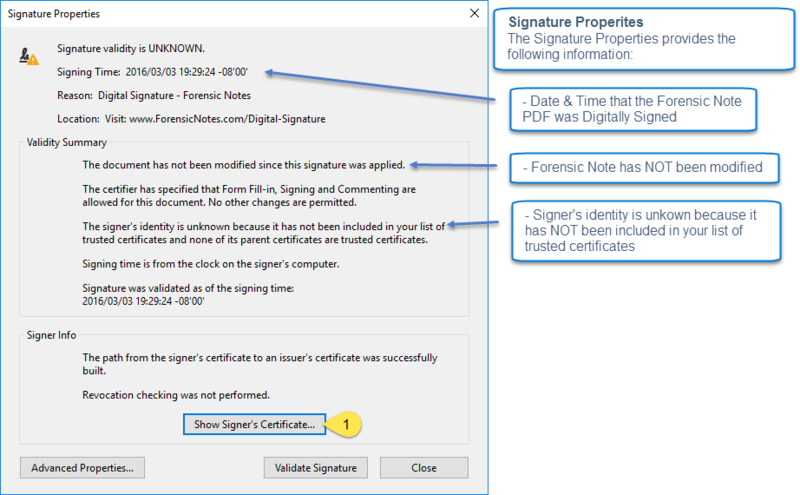 Every Forensic Note PDF is Timestamped by an independent Timestamping Authority (TSA) and then Digitally Signed. 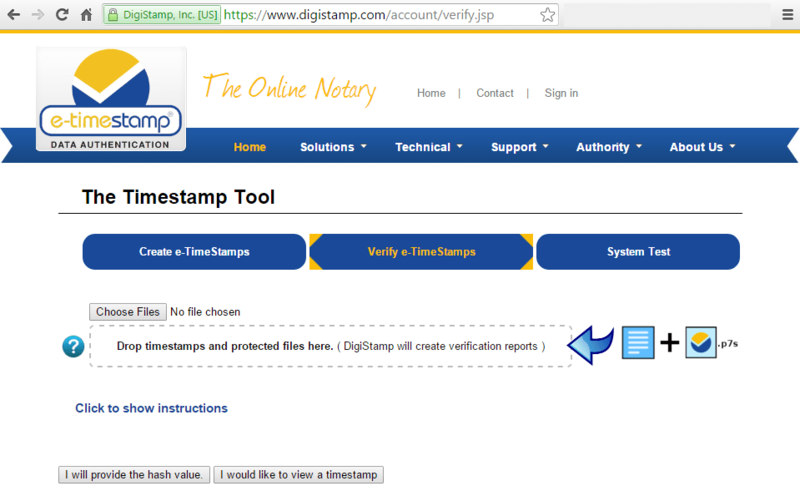 A second Timestamp is then obtained before all the information is entered into our proprietary Validation Tool. 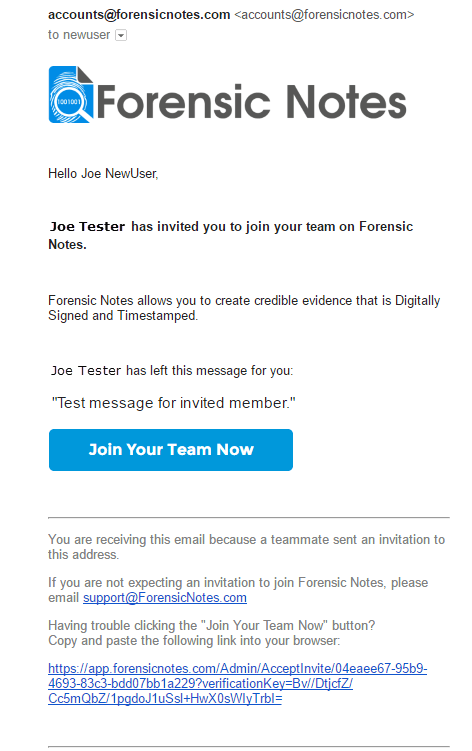 Validating a Forensic Note is fast and easy. Simply Drag & Drop! Let Us Help You Through This Tough Time! Why Use Forensic Notes to Document Workplace Harassment? With Forensic Notes, you will be able to state in detail all occurrences of workplace harassment, who witnessed the harassment and how you felt as a result of the harassment years after the incident. Would your credibility be questioned in court if you can state in detail what happened two years prior not only for one incident, but numerous incidents and also prove that you had made those notes two years prior? Disclaimer: * “Prove” does NOT indicate that Forensic Notes provides 100% undeniable proof that something occurred, rather Forensic Notes helps you as the author prove your information taking into account your evidence, background and articulation of the events. With Forensic Notes, you can help prove that you entered the note on a given date and time. 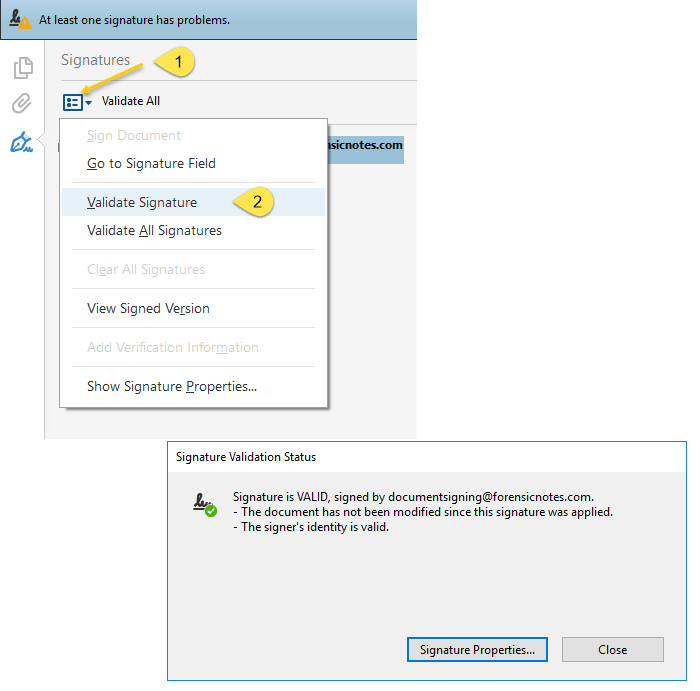 Clicking the “Add New Note / Incident on…” button located above existing notes. 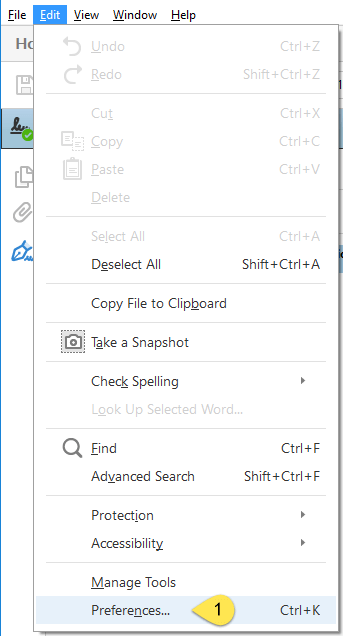 Clicking the ‘new’ button within the “Selected Notebook” panel. How do I expand/view the “All Notebooks” and “Selected Notebook” panel? 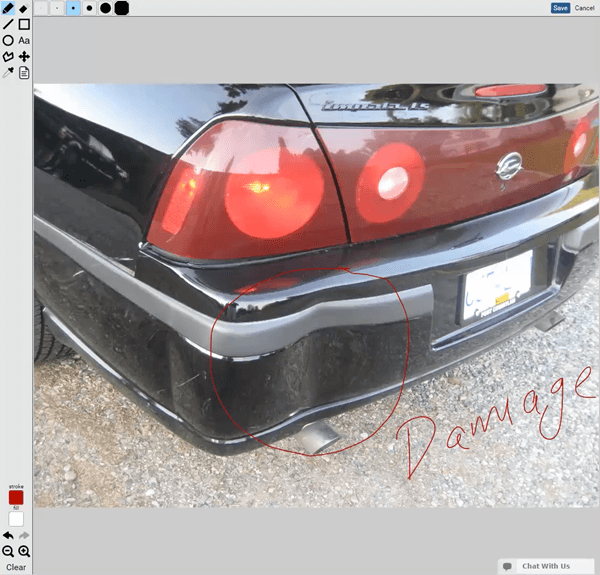 You can expand either panel by clicking on the appropriate collapsed panel. On mobile devices, you can only view one panel at a time. To view either panel, simply click on the appropriate panel icon. How should I document Workplace incidents within Forensic Notes? The main point to remember is to always document incidents with fact-based information that shows that your interpretation of the incident is fair and accurate. For further details, please refer to our Top 12 Best Practice Guidelines for Recording and Documenting Evidence. I just completed my first note. What should I do now? First off, we want to acknowledge that you’ve taken an important and difficult first step. The fact that you recognize the need to document workplace issues shows that you’ve likely been the target of co-workers bullying or discriminating against you. Your next step will be to continue to utilize this service and document all incidents at work which you believe will provide a clearer picture of the issues you face. Fact-based and detailed information is key to providing documentation that will be trusted by others to be truthful and accurate. If I need to bring my notes to a lawyer, what should I do? We recommend that you download the Forensic Notebook associated with your incident that you wish to discuss with your lawyer. Instructions for downloading a Forensic Notebook can be found here. Since your initial meeting with a lawyer may be quick without access to a computer, we also recommend that you print a copy of your Notebook and take that printed copy with you to your meeting so that your lawyer can read over your information. Details on how to download your notes can be found within the Download FAQ section found here. If I need to bring my notes to my HR department what should I do? If I need to PROVE these notes are authentic, what do I do? Being able to PROVE that your notes are authentic is the main benefit of Forensic Notes. 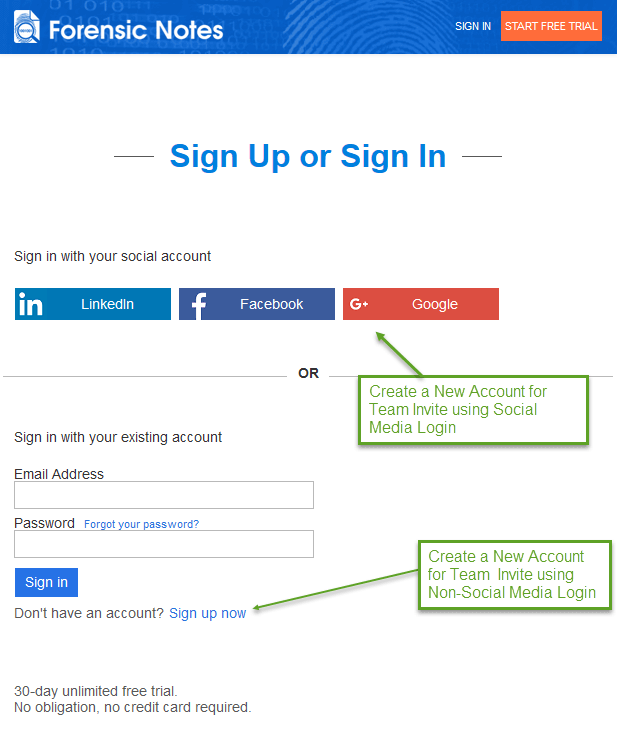 This can be easily accomplished by following the detailed instructions on Validation found here. I have a 2nd harasser, what do I do? 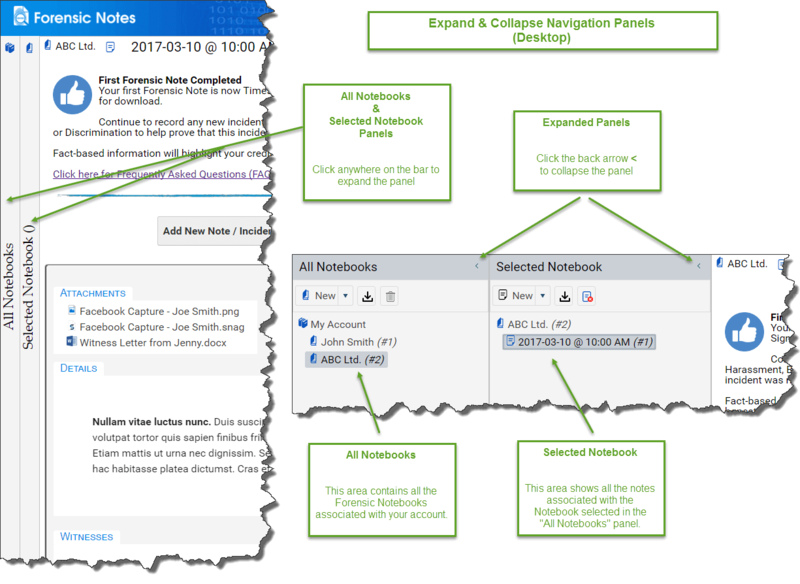 You will want to create a 2nd Notebook within the “All Notebooks” panel by clicking on the “New” button. It is important to keep this information separate to show that it is unrelated to your original harasser. I made a mistake and now I want to change / edit a Forensic Note? A Forensic Note cannot be edited once it has been finalized. This is to protect the integrity of notes and is one of the core principles Forensic Notes is built on. If you realized after finalizing a note that something was incorrect or needs to be changed, the best method is to create a new note while referring to the original note. You should also provide an explanation regarding what errors or issues your original note contained. You can then mark your old note as “Deleted”. This is similar to paper notes within a notebook. Your credibility in court would be questioned if you provided a notebook with torn out pages. Instead, the proper way is to cross-out the note you made in error which still allows the courts to read your existing note to determine if it has value. 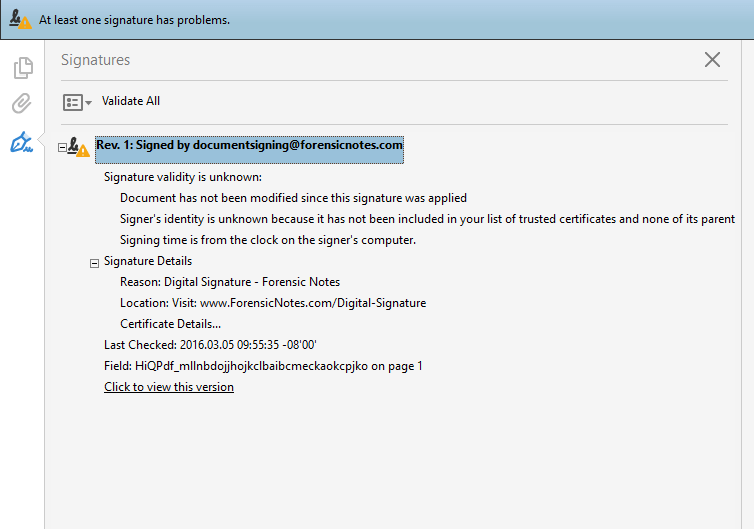 This will result in a dialog box allowing you to enter the reason why you would like to “Delete” this particular Forensic Note. The Forensic Note is now marked as “Deleted” but still visible if required. This note will also be included in any future Forensic Notebooks, but will be clearly marked as “Deleted” along with the reason you provided for the deletion. Why can’t I just use Forensic Notes like a regular editor and make changes if I want? I don’t like the idea of locking my notes! The good news is that you are not forced to finalize (or “lock”) your notes. You can leave them in an editable state for as long as you want. 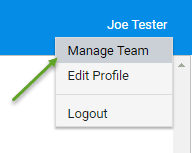 The editor auto-saves each entry allowing you to edit at any point until you finalize it. But please remember that you will not be able to PROVE you wrote the notes by a particular date without finalizing them. One of my notes contains sensitive tactics that can’t be disclosed in court. Is there any way to hide this information? We are currently developing the ability to ‘redact’ a note or portions of a note within Forensic Notebooks. Until this feature is released, we suggest that you manually redact the information using Adobe Acrobat. Can I add file attachments and existing electronic files? 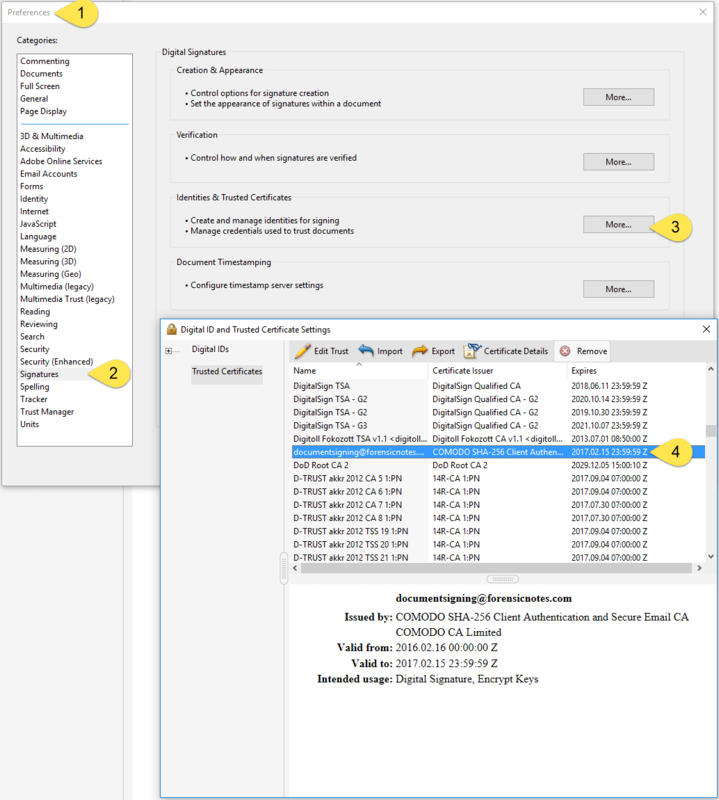 Dragging & Dropping any electronic file from Windows File Explorer onto the File Attachment Upload control. File size limit currently set at 100MB per file. If you require a larger file size limit, please contact us with the request. The Mac O/S does not natively open password protected ZIP archive files which are used to download your Notes and Notebooks. The error provided by the Mac O/S can be vague making it seem like the download was corrupted. 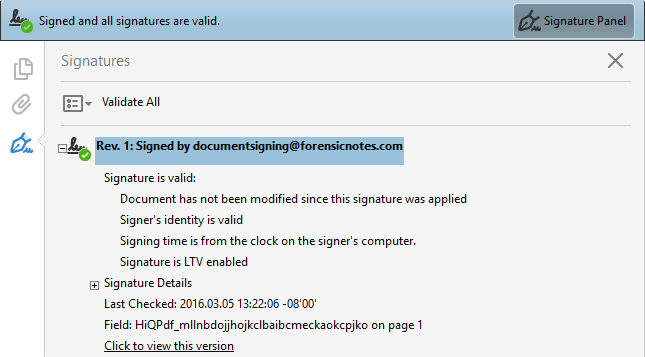 What is the format of a Forensic Note if I download it? Forensic Notes and Forensic Notebooks are both saved in PDF format and therefore readable on any device capable of viewing PDF documents. 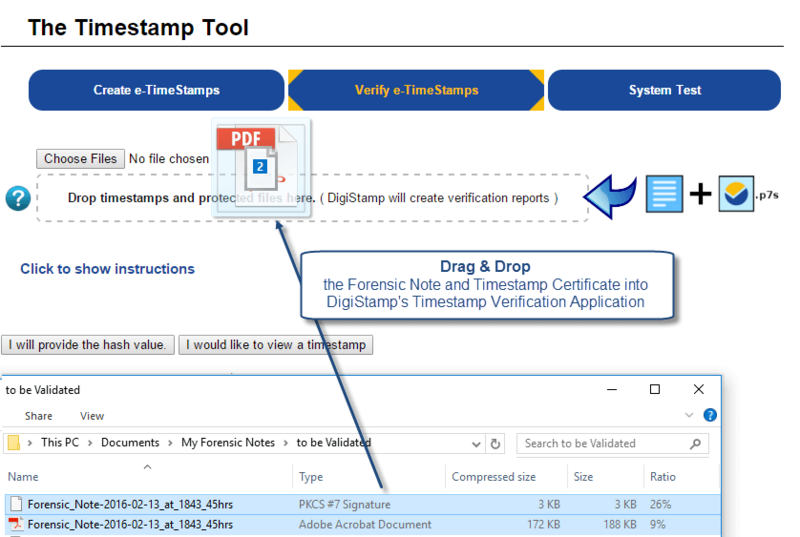 Each Forensic Note and Forensic Notebook is associated with a digital Timestamp issued by an Independent and Trusted Timestamping Authority (TSA). Forensic Notes and Forensic Notebooks are downloaded within a password protected ZIP archive to help ensure the security of your private information. How do I download a Forensic Note? NOTE: You MUST select the note you want to download prior to initiating the download process. How do I download a Forensic Notebook? NOTE: You MUST have the Forensic Notebook root node selected to download the Notebook. How do I extract the files from the downloaded ZIP file? 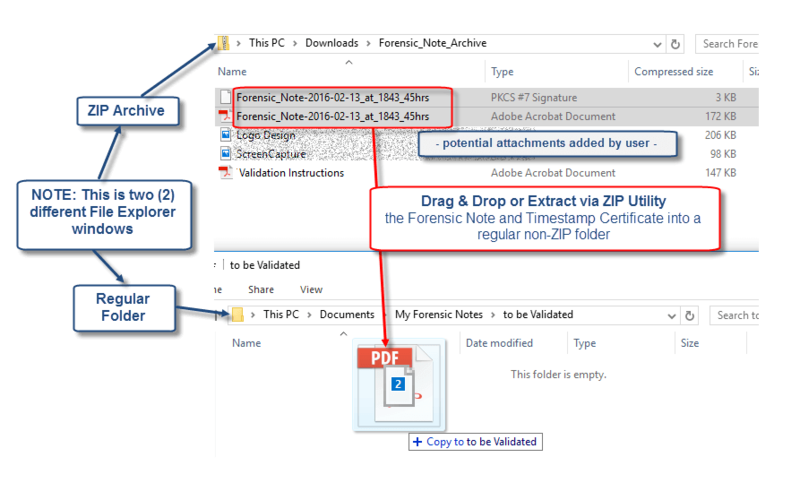 For details on how to extract the files from the password protected ZIP archive, please refer to our article “Extract Forensic Notes from ZIP”. What happens if I forget the password I set for my ZIP archive downloads? 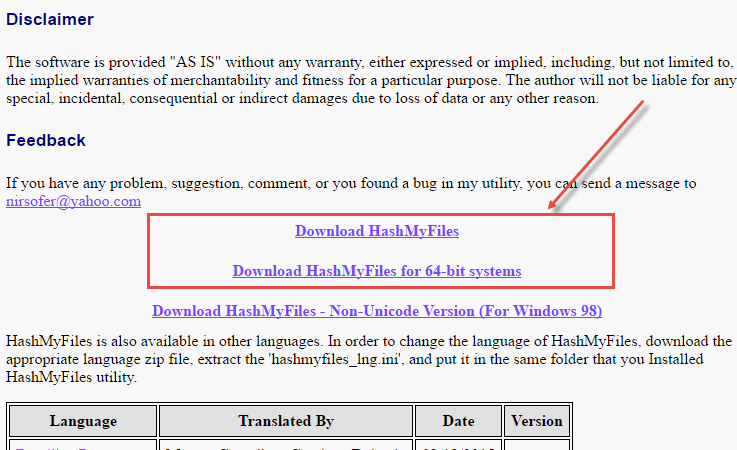 The password can be retrieved by hovering your mouse over the ‘eye’ symbol within the “Download Forensic Note” link. Sorry, your password can’t currently be viewed on mobile devices. 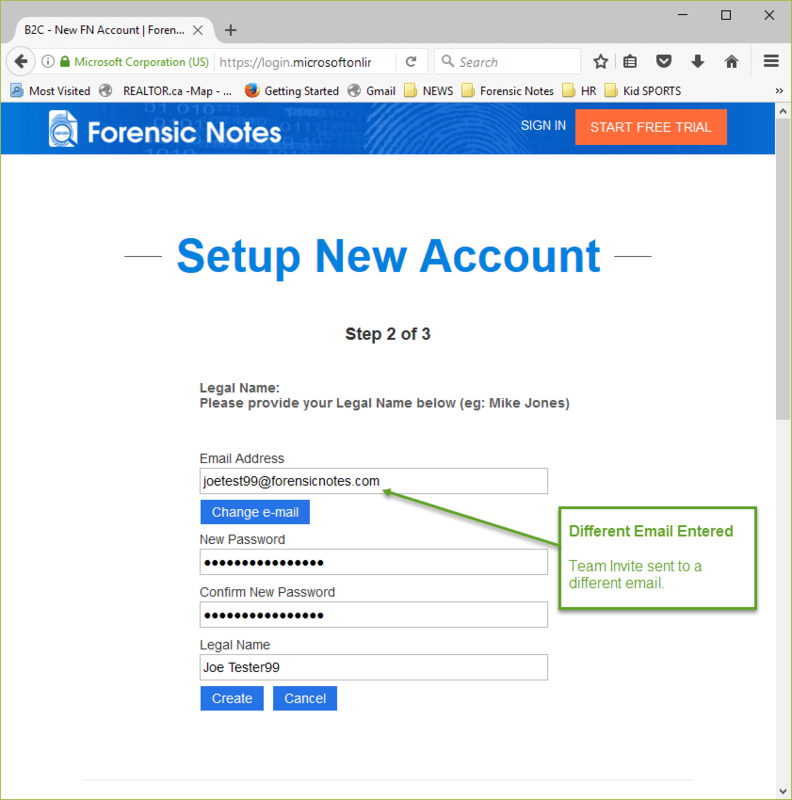 Please log into your Forensic Notes account on a desktop and follow instructions above. Why do I have to set a different password for downloading ZIP Archives from my login credentials? You should always keep your login credentials safe & secure using a complex password. As with all sensitive accounts that contain private information, you should use a different password for each account. 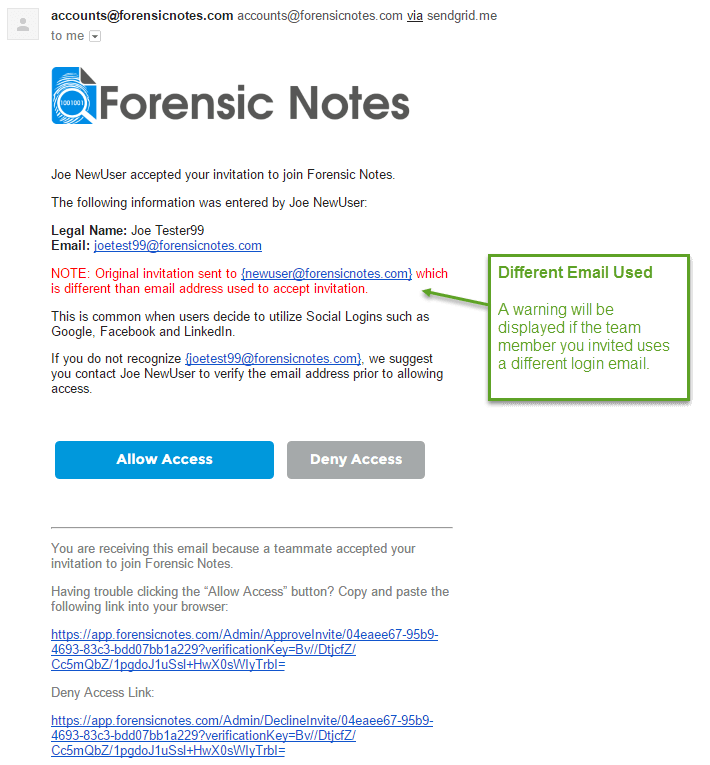 Since your password is safely secured with Microsoft Azure B2C Active Directory, Forensic Notes does not have access to this information. As a result, we require you to provide a new password for downloading your sensitive files. And since security of your data is our #1 priority, we strongly suggest that you pick a different password or phrase than you normally use. 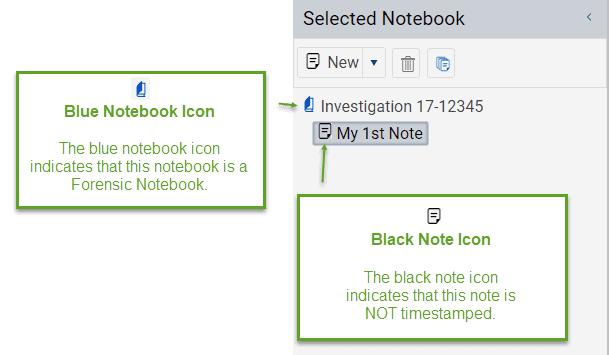 How do I validate a Forensic Note or Forensic Notebook? 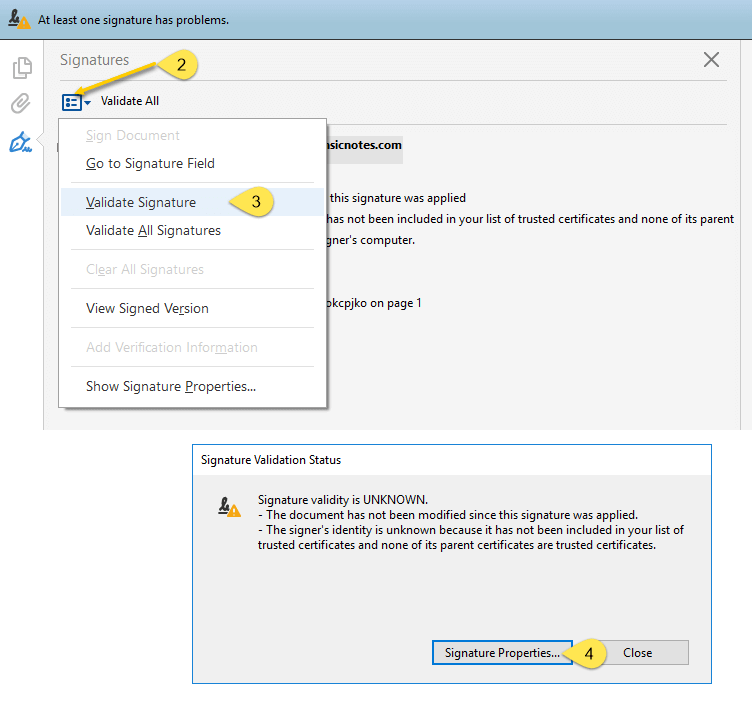 The easiest solution is to use our proprietary Validation Tool (#1 option above). 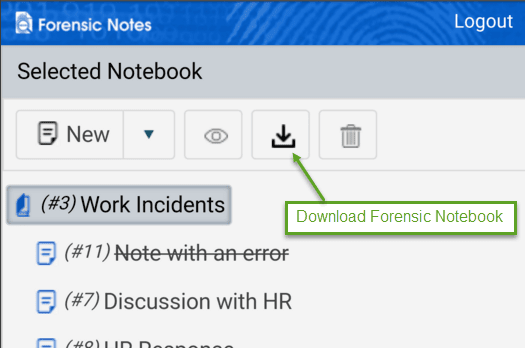 Once you are ready to download a Forensic Note or Forensic Notebook, refer to the Download FAQ section. 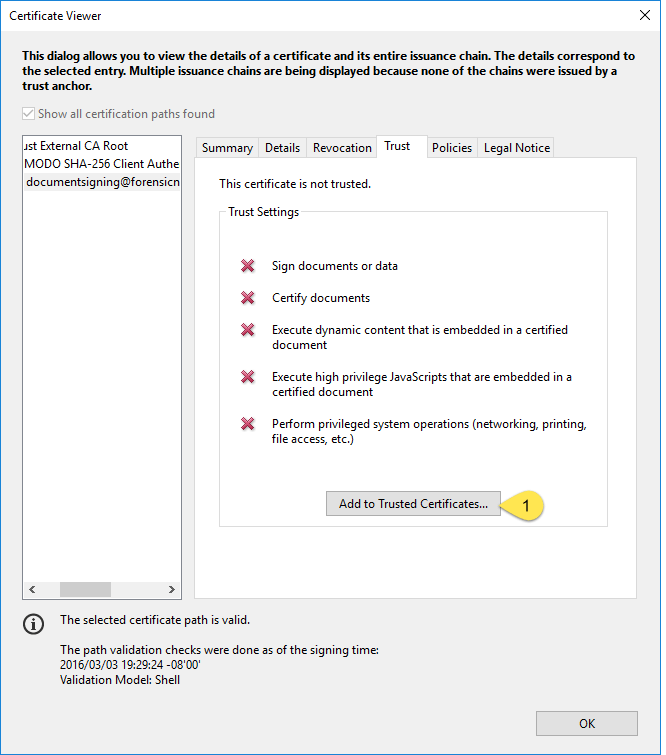 Information on how to validate your files is also discussed. Which Notebook is Right for You? Forensic Notes offers three (3) different types of Notebooks to meet your specific needs. Forensic Notebooks are the purest form of contemporaneous notes. If full-disclosure is a legal requirement you need to abide by, then a Forensic Notebook is what you need. This is the closest replication of a bound paper notebook and pen in electronic form. Like pen and paper, once you write a note (and timestamp it), the note will remain as written. No edits or modifications allowed. Any notes that are marked as ‘deleted’ will be crossed out. 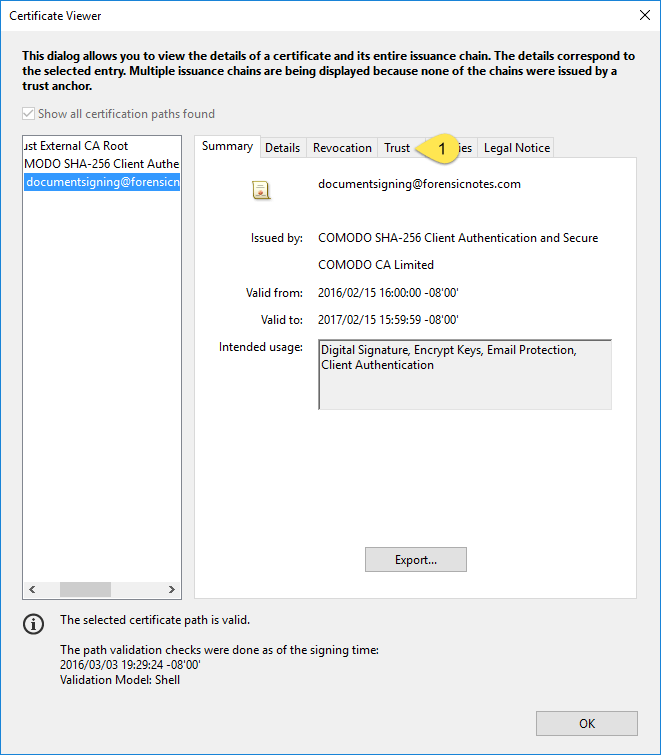 Date & Time associated with an individual note is obtained from the timestamp certificate issued upon completion of a note. Forensic Notebooks that don’t allow edits are also referred to as a WORM Notebook (Write-Once, Read-Many). 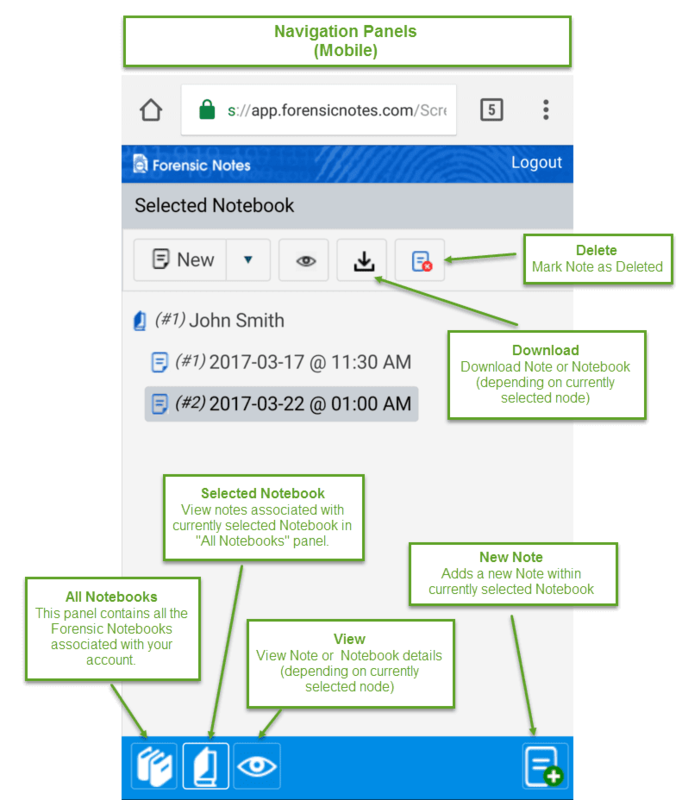 This is for those that need a Forensic Notebook for documenting actions, but still want the ability to edit notes afterwards. This is because the above changes would be disclosed within the downloaded Forensic Notebook PDF. Every previous version of a note, generated when a new version is timestamped, is included at the back of the downloaded PDF. Create a professional version of your notes while still adhering to full-disclosure rules. The note will display the timestamped Date & Time of every previous note. Previous versions of the note with the original timestamp can be used to confirm when you made your original note and if its ‘true meaning’ has changed since that time. This is for general note-taking, offering all the same features as a Forensic Notebook without full-disclosure. This notebook is not meant for legal purposes. But, individual notes can be timestamped creating a Forensic Note. Forensic Notes can be used in legal situations. 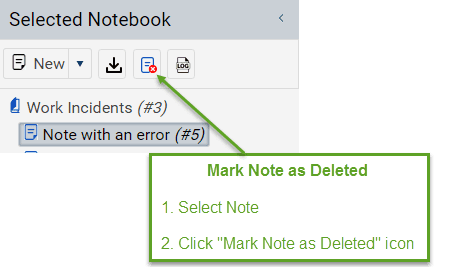 General Notebooks do not limit your ability to edit or delete existing notes. You are in full control. Downloaded PDF Notebook only includes the notes you want to disclose (deleted notes are not included). Within the “Selected Notebook” panel, you have several options as shown in the image below. This option will allow you to either create a new note or folder. Folders are solely for helping to organize your notes within the Forensic Notes application. Folders do not affect the final Notebook when it is generated as a PDF. 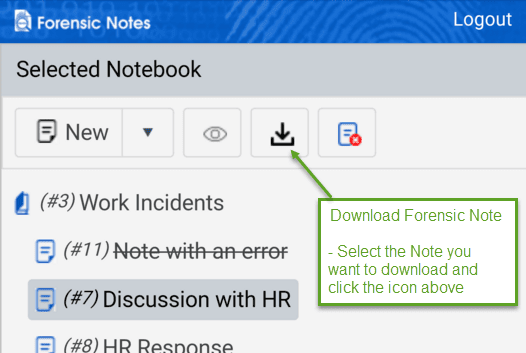 This option will allow you to download either a single Timestamped Note (Forensic Note) or a Notebook depending on if you have the root node (Notebook) or an individual Forensic Note selected. This option will allow you to delete a non-Timestamped Forensic Notes. See below for information on “Mark Forensic Notes as Deleted” option. Forensic Notes cannot be deleted once they are timestamped. 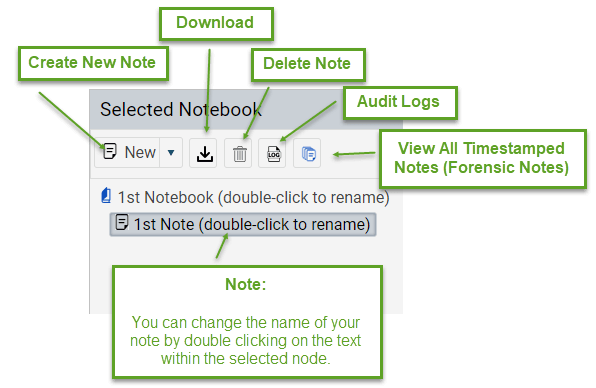 Similar to the idea that you cannot permanently remove or cover up a note written in pen in a paper notebook, you can’t permanently delete a timestamped note in your electronic notebook. Instead, we allow you mark the note as deleted which still allows the note to be readable, but crossed out to indicate that a mistake was made. 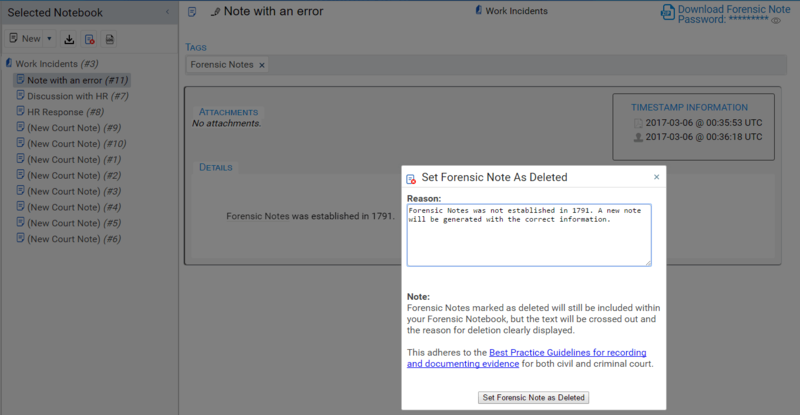 You are also able to provide a reason for the deletion which will be included in your Forensic Notebook PDFs. “FAQ – How Do I?” section. 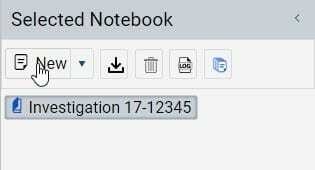 Audit Logs within this section only show actions taken against the currently selected Forensic Notebook. 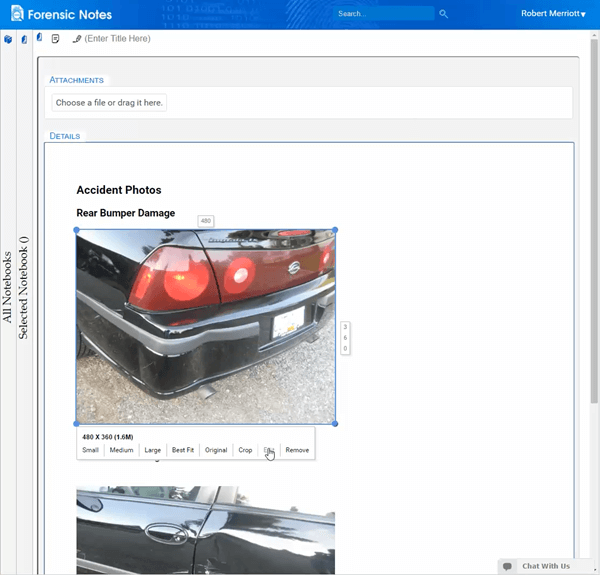 Audit Logs are only generated for actions involving Forensic Notebooks and Forensic Notes. Actions against Non-Timestamped Notes and General Notebooks are not captured. 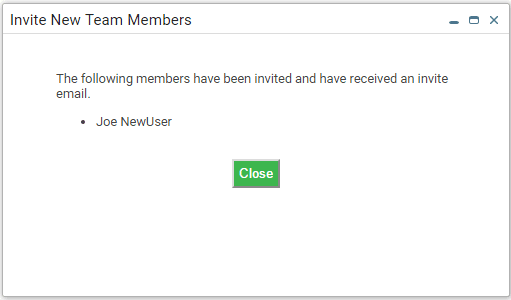 Regular users will not be able to see the audit logs. This option allows you to view all timestamped notes associated with your Forensic Notebook including older versions. 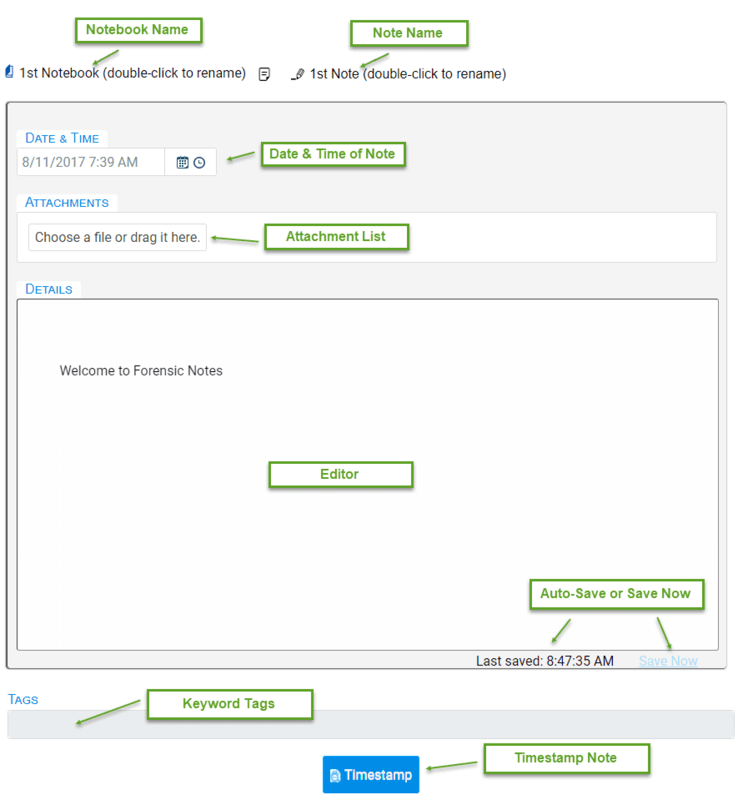 Both General and Forensic Notebooks (w/ edits) allow you to edit existing notes and re-timestamp as required. When you choose to edit a timestamped note, the system will make a copy of your original timestamped note to edit. The original timestamped note (Forensic Note) will remain un-altered and available if required. 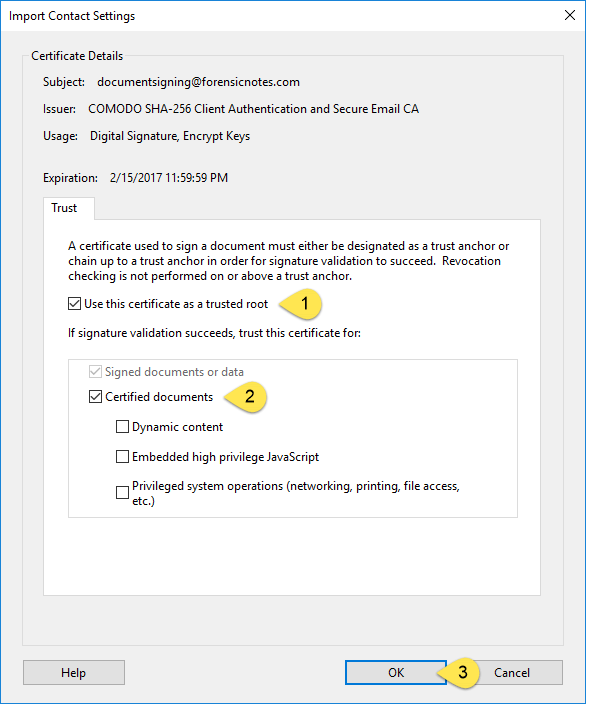 To switch back to viewing “Active Documents”, click the Notebook icon as shown in the image below. 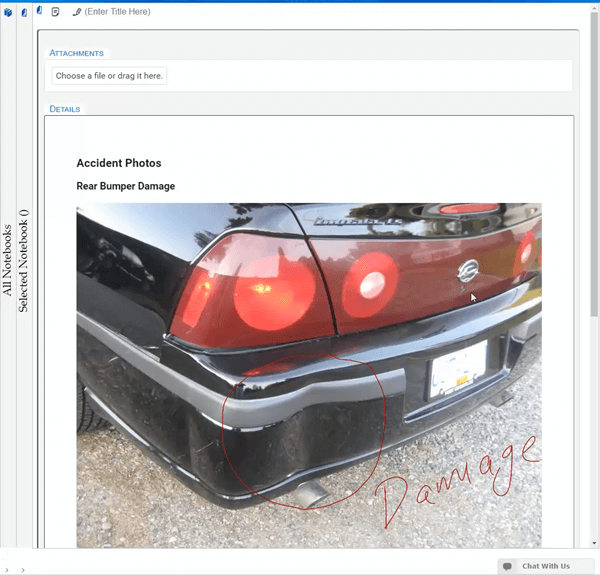 The Note Editor contains many features, for further details refer to our “FAQs – Editor Features” section.